Kitchens are one of my favorite areas of the home! Mainly because I love to cook but also because a nice kitchen is bliss! 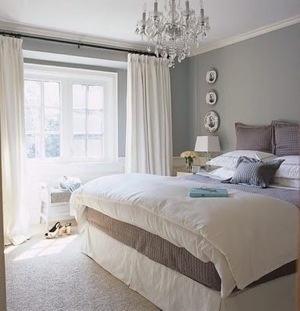 Like this one featured below, it is gorgeous!! 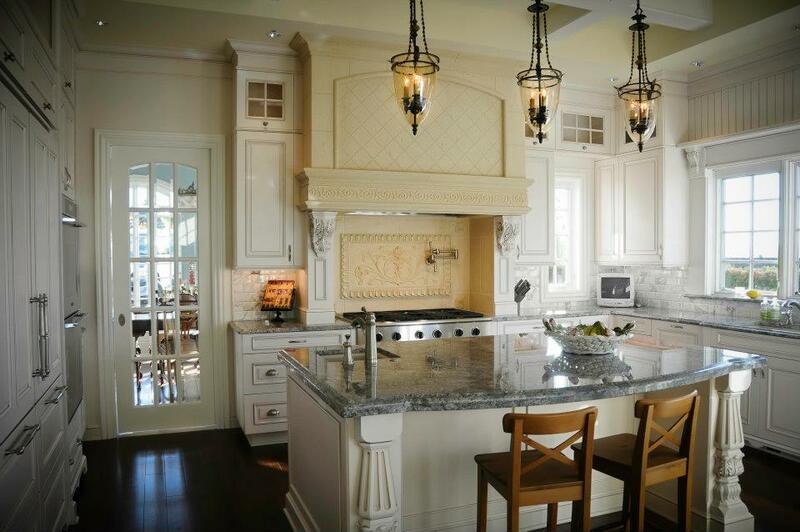 The lantern style hanging lights, the granite counter tops, the detailed white cabinets and the beams in the ceiling(you can see them in the upper right hand corner). I’m a huge fan of homes that flaunt their beams! 🙂 It adds character and shows craftsmanship… But on to the good stuff! 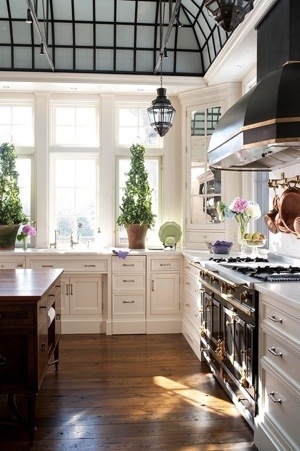 What really draws my attention in this room is the custom range hood and back splash. These are truly the center pieces of this kitchen!! Handcrafted and stunning, they bring dexterity and exceptional taste together, that can only be created by someone who is truly passionate about their work and your home. I am a huge fan of his work and actually lucky enough to have met the incredibly talented designer, Ara Mironyuk(www.artbyara.com), who created these pieces(and many, many more!) and they are spectacular! 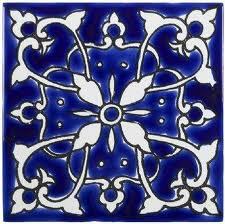 Todays Topic: Kitchen Tile Back Splashes! Happy Saturday! 🙂 I love weekends! Especially when I wake up and there is sun shining. It’s motivational and makes me want to get the day goin’! Regardless of what I have to do on any given day, my day usually starts in the kitchen. Making coffee, breakfast, lunch, ect. Beyond that, a kitchen can be a focal point of your home – so why not make it beautiful and inviting?! 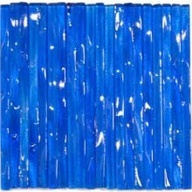 The internet is a great tool to research colors, designs and sizes that will go well with your kitchen. I also like visiting the Home Depot or other home stores and warehouses to see things in real life, before making any decisions or purchases. (I always say that if you have the opportunity to see it before your buy it – do it!) There are also the DIY (Do It Yourself), sites and guides online – opt for a reputable source such as Home Depot or DIY Network, or if you know of any?? Be sure to do your research if you are going to do this yourself. The right process is key. Either way, if you do this yourself, or hire help, don’t hesitate to obtain quotes. 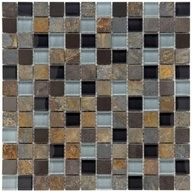 Remember, the cost of tiles can vary, which gives you options and wiggle room. 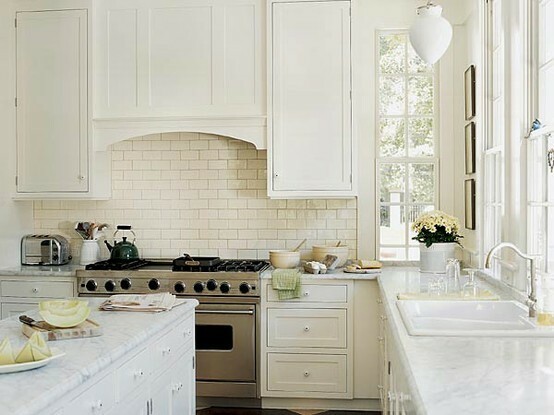 Another thing to consider, is that this tiled area does not need to be the back splash for your whole kitchen. 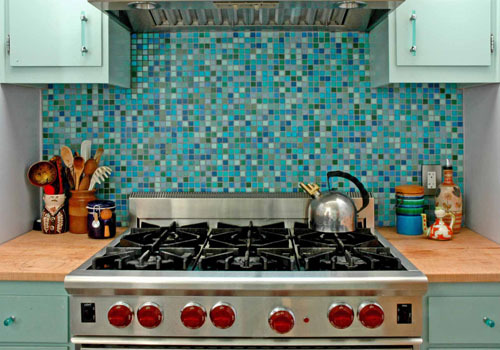 Maybe you just want to add a tile back splash behind your stove? 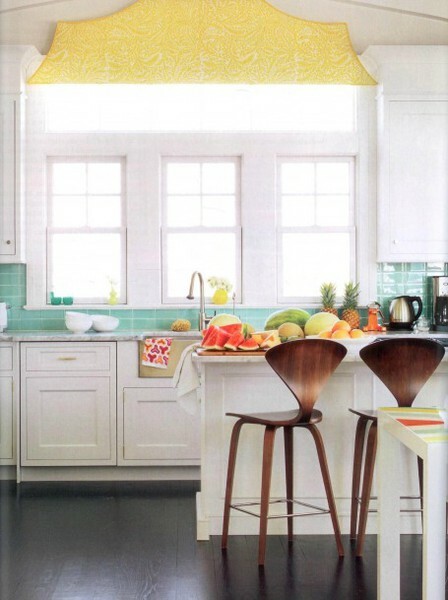 There are different options and ways to add this decor into your kitchen. You don’t have to brake the bank to implement this change. You get to choose! I love this kitchen!! I want to set foot in there and cook up a storm! It’s cozy and modern. 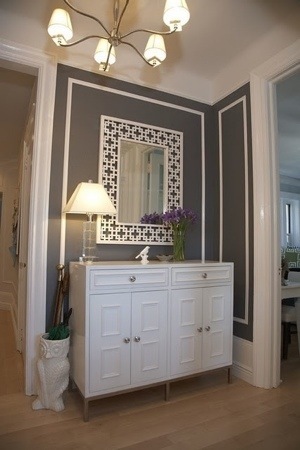 I really love the white walls and cabinets! 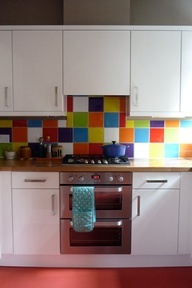 Especially the white brick behind the stove!! 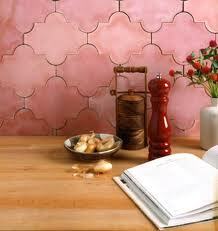 I love it when kitchens have some sort of textured or decorative back splashes such as tile, brick, ect. 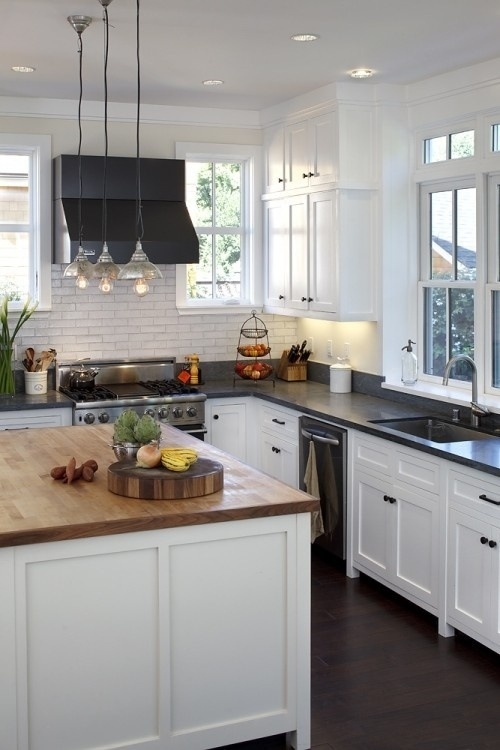 Another great thing about this kitchen is its black counter tops and wood butcher block island. I love it all!!! What do think? You are currently browsing the archives for the Gorgeous Kitchens category.